This find is really a diamond in the rough. 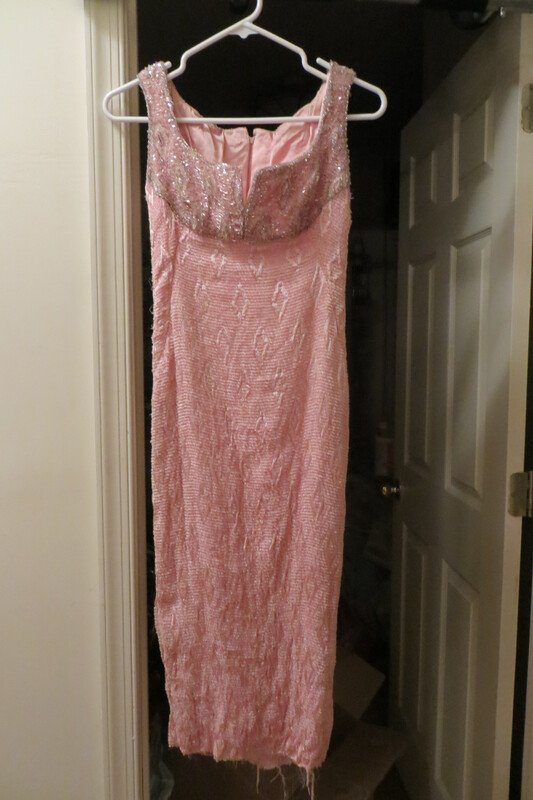 The “diamonds” and beading were what attracted me to this potentially fabulous Frock. I actually love this Ballet pink color. It happens to be very flattering on most complexions. Below you can the hem is pretty trashed and (hard to see) in the above photo but it’s big on me. 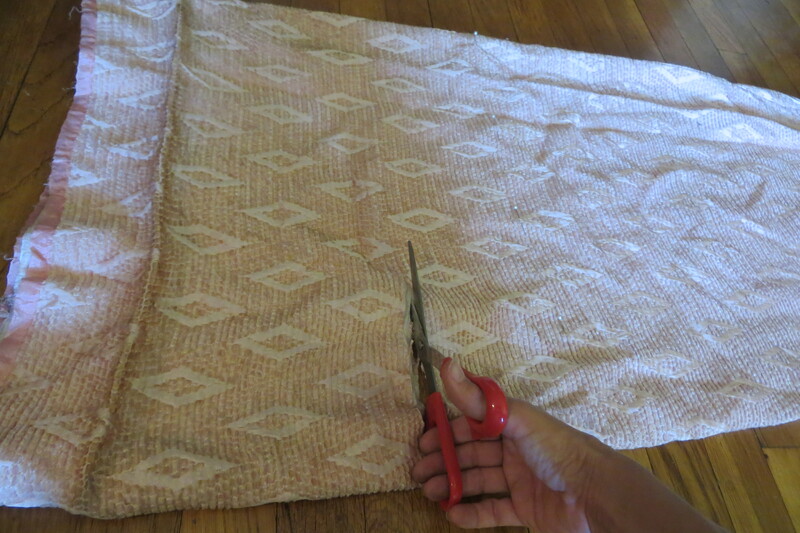 So the first thing I do is chop off the nasty hem and some of the skirt. Next I wash it. Now this can be tricky. I have a suspicion it’s going to shrink. It is handmade so there is no label to tell me what it’s made of (chenille and ??) Actually it doesn’t really matter because I am not going to spend the money to dry clean it. So, as a test, I wash the skirt bit I’ve chopped off in cool water with Woolite. 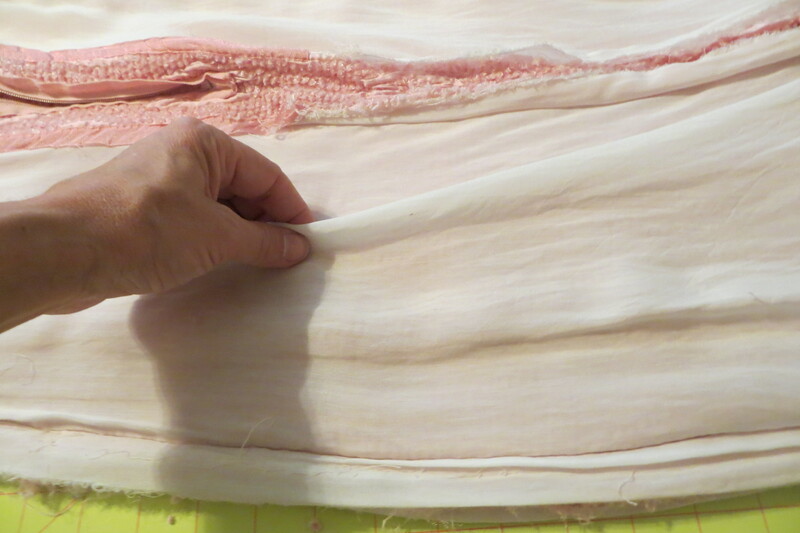 Tip: When at all possible try to test the fabric before committing the whole garment to the suds. I’m not so worried about the shrinkage because the dress is too big so I’m thinking it may even save me some time. I still need to take in the sides some. 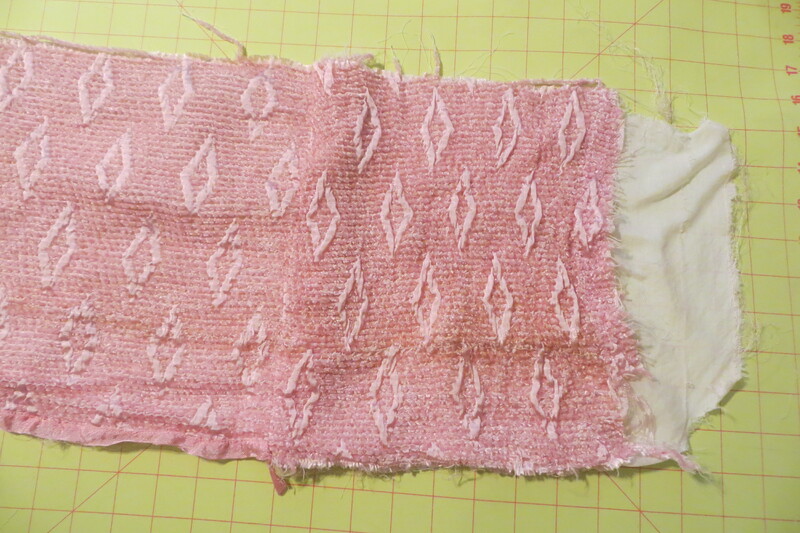 I baste a new seam and then go ahead and stitch it on the machine. 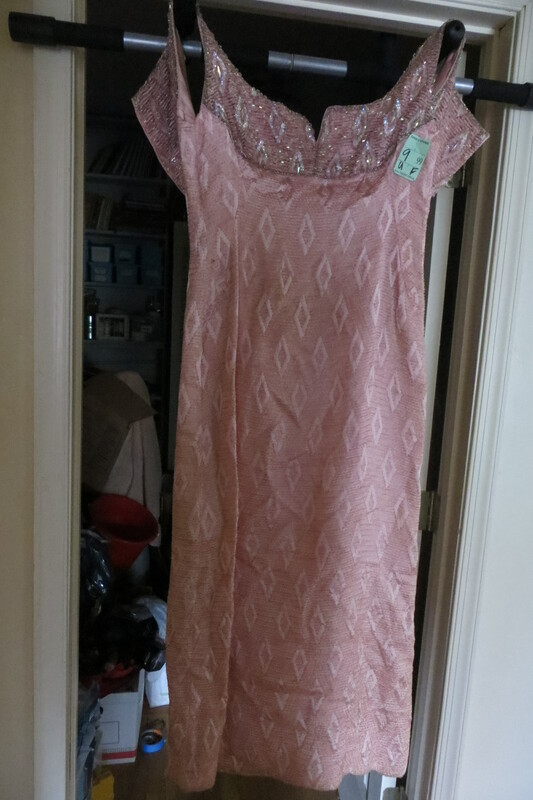 This dress has several darts as well as seams. 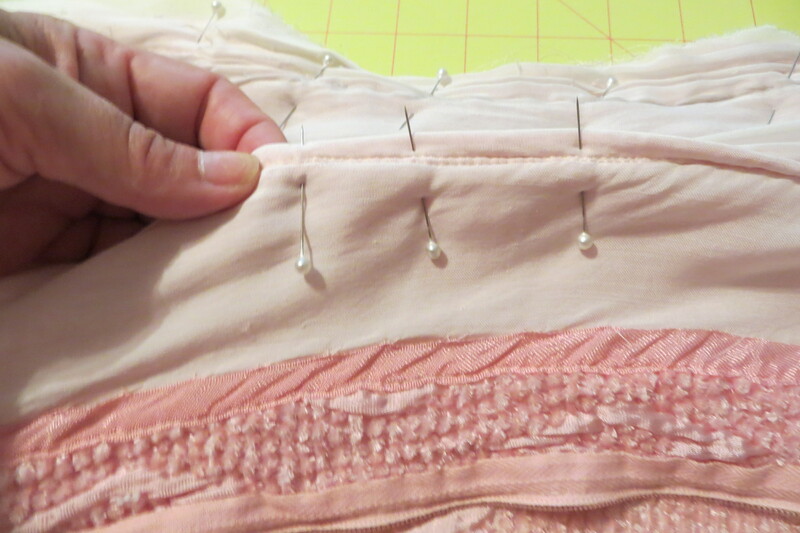 This is great because I can “sculpt” the dress by nipping and tacking at any of these points. 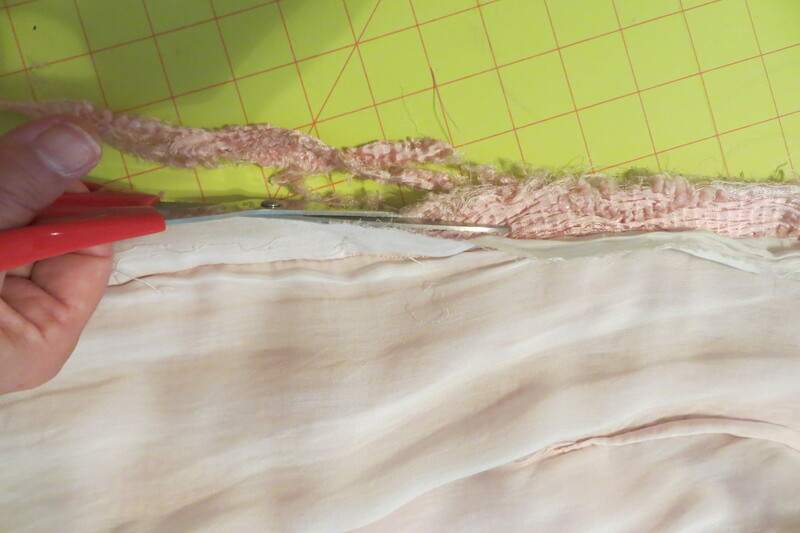 I trim and clip the new seam. 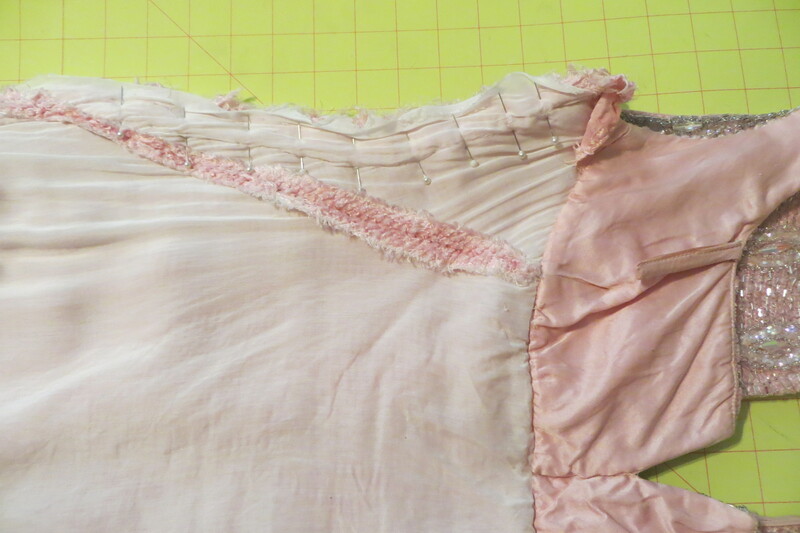 Then all I have to do is mark a hem and hand-stitch it in place. 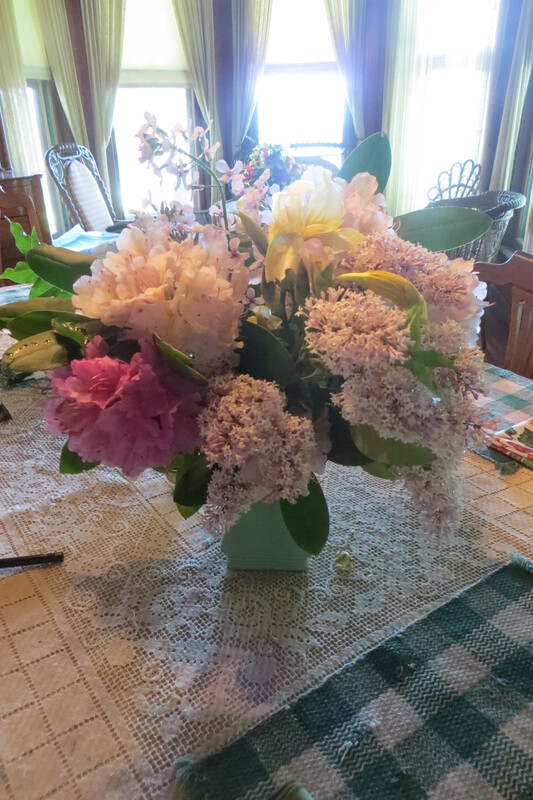 So, this little gem was $9.99… BUT, it was Wednesday, so it was 1/2 price! Yes! I’m all in at $5 bucks. Sweet! So what do you think of my Diamond in the Rough? Did I end up being Pretty in Pink? You be the judge! The shawl is from Lavanya Coodley through VIDA. And the earrings are from Jane Diaz! 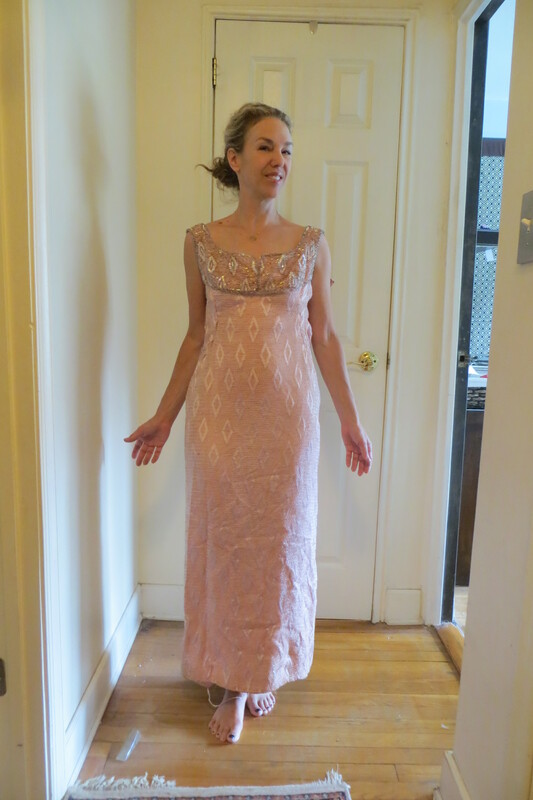 This entry was posted in Jess Russell, Regency author, romance and tagged dressmaking, Jess Russell, Regency, romance, sewing, The Dressmake's Duke, thrift shops, Trash to Treasure. Bookmark the permalink.